IAI Finger is a jet fighter and bomber Mach 2.2 used by the Air Force Argentina . planes made ? ?in Israel IAI Dagger possessed the Argentina Republic . 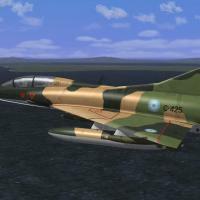 The remaining Israeli Nesher aircrafts were refurbished and exported to the Argentine Air Force in two batches, 26 in 1978 and 13 in 1980, under the name Dagger, comprising 35 Dagger A single-seat fighters and 4 Dagger B two-seat trainers. 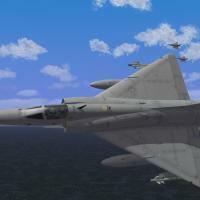 They formed a new unit, 6th Air Group, and were immediately enlisted with the help of the 8th Air Group (Mirage IIIEA) and the Peruvian Air Force, already a user of the Mirage 5, due to the escalating crisis with Chile of that year. 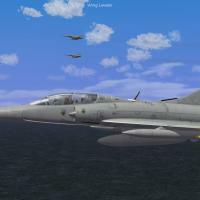 During the 1982 Falklands War, they were deployed to the southern naval airbase of Río Grande, Tierra del Fuego, and an airfield in Puerto San Julián and despite the distance to their targets and lack of aerial refueling capability, managed to make 153 sorties against both ground and naval targets on the 45 days of operations. In the last role, they damaged HMS Antrim, Brilliant, Broadsword, Ardent, Arrow and Plymouth. Eleven Daggers were lost in combat (nine by AIM-9L Sidewinders fired from Sea Harriers and two by surface to air missiles). 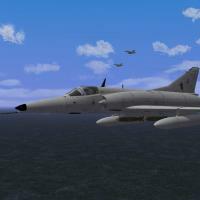 In the 1979 contract with IAI, the Argentine Air Force stipulated that the Daggers would be equipped with new avionics and HUD systems to take them to the Kfir C.2 (and beyond in some subsystems) standard. The program, named Finger, was underway in 1982 when the Falklands War broke out. With the war over, as some of these systems were made by the British Marconi Electronic Systems, they needed to be replaced after an arms embargo was imposed by the UK. The replacement of such systems took the planes to the final Finger IIIB standard mainly by replacing the British equipment with French-built Thomson-CSF. 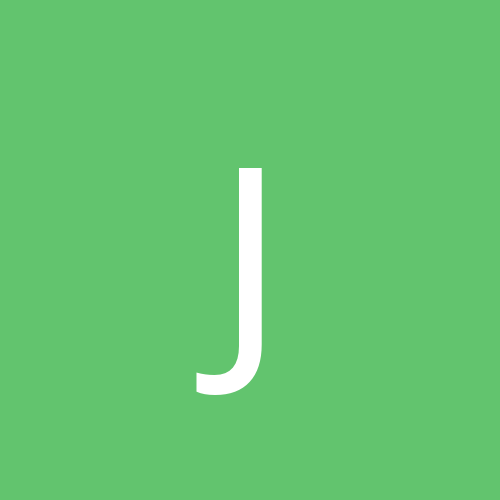 Next File Nesher Over Israel. SF2.